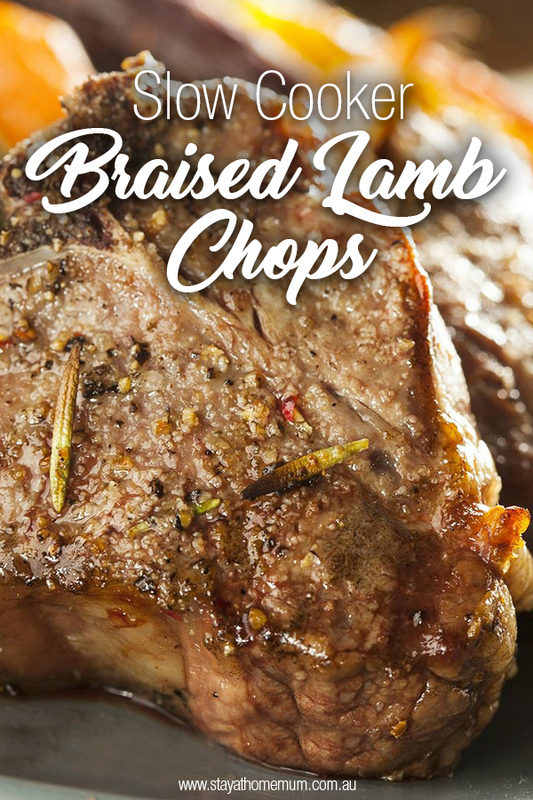 Slow Cooker Braised Lamb Chops. I totally adore lamb chops slowly braised in the slow cooker. In fact, I think lamb full stop is just the bomb done this way. Soooo good. You can substitute the lamb chops for lamb shanks. Season chops with salt and pepper and coat lightly in flour. Gently fry chops until sealed and put in slow cooker. Fry vegetables for a few minutes and add to slow cooker. Cover with stock and cook on low for six hours. Slow Cooker Braised Lamb Chops is suitable to freeze for up to four months. Allow to cool to room temperature and seal in an airtight container. Serve on mashed potato and pumpkin with a crusty garlic bread.